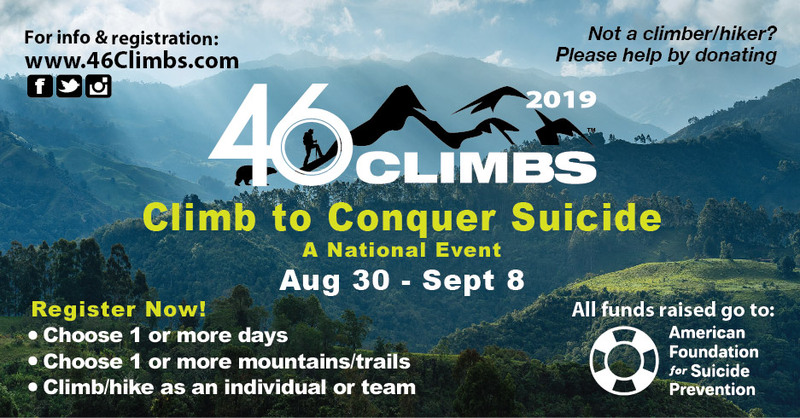 Register for the 5th annual 46Climbs national event! It doesn’t matter if you have never climbed a mountain before or if it is your profession, you too can be part of this remarkable community. 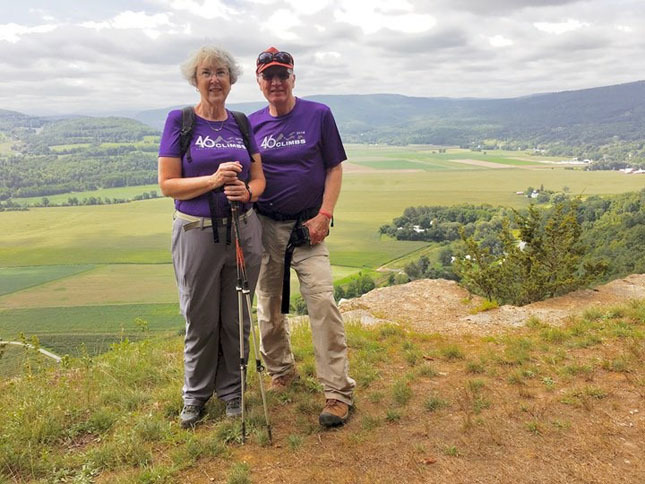 Choose a mountain or group of mountains (large or small) and climb/hike anytime between August 30th – September 8th. Climb/hike as an individual or a team. The event starts the Friday before Labor Day Weekend and runs through the week until the following Sunday. 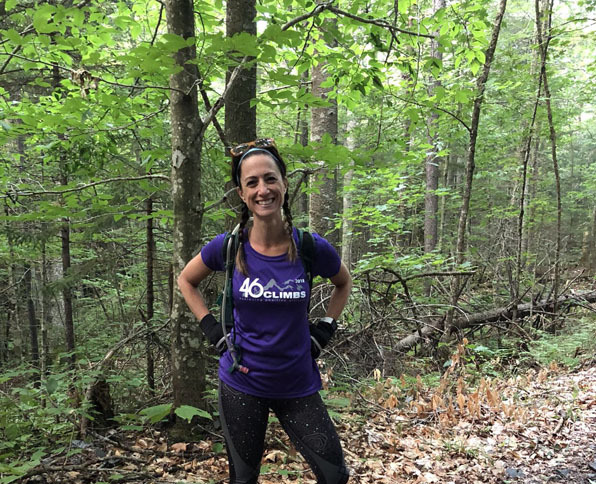 Donate $25 or more and register your climb/hike. You will receive a 46Climbs package – A dry fit t-shirt, a sticker, and a bandana. 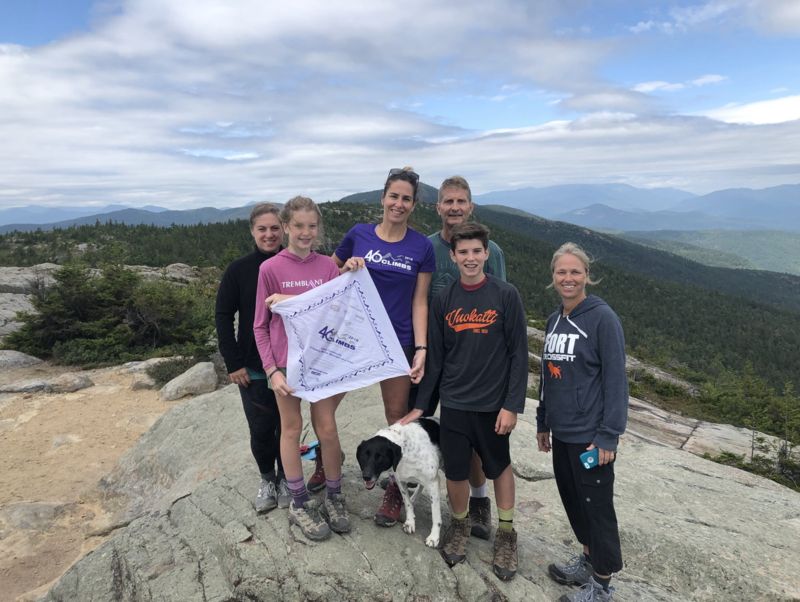 When you reach the summit, take a picture wearing your shirt or holding up your bandana and post it on any social media platform (Facebook, Twitter, or Instagram) with the hashtag #46Climbs. During the event, watch as the pictures and stories flow in from all across the country (and world). Perhaps climbing/hiking isn’t your thing or you are unable to participate. You can still help! Please consider making a donation to help conquer suicide. Funds raised go to the American Foundation for Suicide Prevention. You can reach us at contact@46climbs.com or use the form below.